Bedroom with one queen and one twin bed and a wall mounted tv. Campground Beach - just a mile away! 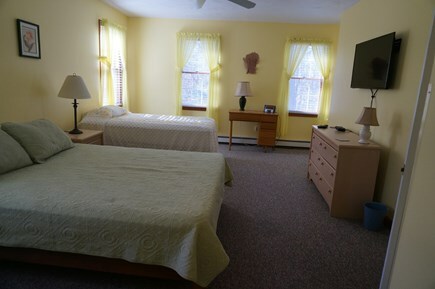 Our beautiful, quiet, sunny home is sure to fulfill all of your family’s vacation needs. Wake up and enjoy a short stroll to the Hole-in-One donut shop, a local family owned treasure, for your morning coffee, muffins, and donuts. Then decide between spending the day collecting sea glass and enjoying the warm, relaxing beaches of Cape Cod Bay (just 1 mile from the house!) or boogie boarding in the cooler, larger waves of the National Seashore (2 miles). Coast Guard Beach consistently ranks in the top ten beaches in the U.S. You may also enjoy biking on the Cape Cod Rail Trail, hiking, or enjoying other fun activities in the area. 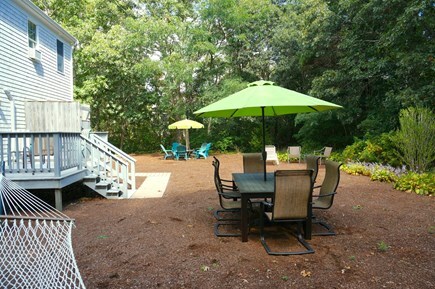 After a long day at the beach return home to enjoy our peaceful and private backyard surrounded by trees. Our deck is furnished with a 6-person patio table with comfortable chairs. 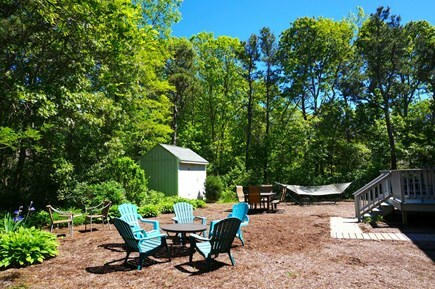 Relax in the back yard on our hammock or sitting around the casual entertainment table with an umbrella. The backyard also features a fully enclosed hot water outdoor shower. 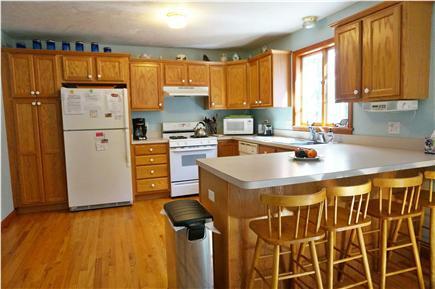 Inside the house you will find all of the amenities of a year round home. The first floor features central air conditioning and a large open floor plan with a fully equipped kitchen and separate dining room. 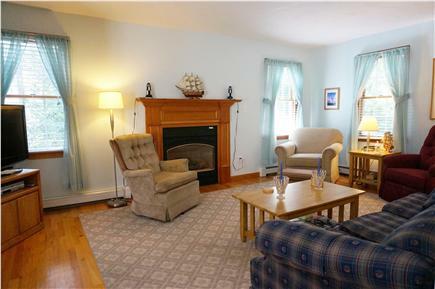 The living room has a flat screen TV and gas fireplace while the den offers a quiet place to relax with a good book. 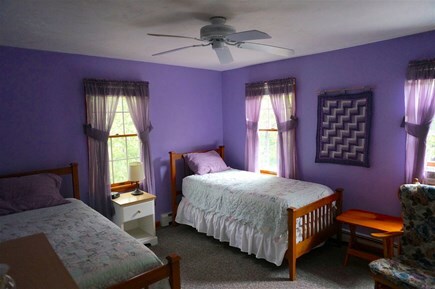 The spacious second floor has three bedrooms and easily sleeps 6 (master with a queen bed, two twin beds in the second room, and a queen and twin in the third room). All bedrooms have ceiling fans and plenty of windows to let in the ocean breeze, and also window air conditioning units. 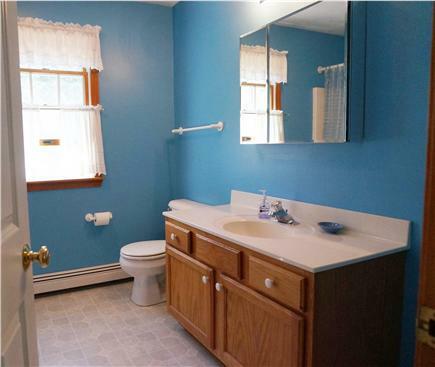 Both the first and second floors have a full bathroom. In the basement you’ll find plenty of room to hang wet towels, a washer and dryer, and a bumper pool table. We also have plenty of board games for the family to enjoy along with complementary Wi-Fi. The toughest decision you’ll face all vacation is which beach to enjoy that day! Additional pricing info: Lodging tax may be approved in 2019, rates are unknown at this time, State and local taxes of 12.45% will apply. Perfect. I would give more stars if I could. So clean and spacious with all amenities! Wonderful home owners! Genuine and caring! Even sent me photos of the beach chairs! We loved everything about it. We were so comfortable we hated to leave! Location was fantastic too!' Everything they said and more. Thanks for sharing and contributing to our wonderful Cape Cod memories. We so appreciate it!! Thank you so much for your kind words about our home. Our satisfaction in the details we put into our home comes from knowing that our guests feel comfortable and enjoy our home. It is important, vacations don't happen all the time!!! This is a wonderful house with all the amenities of home! 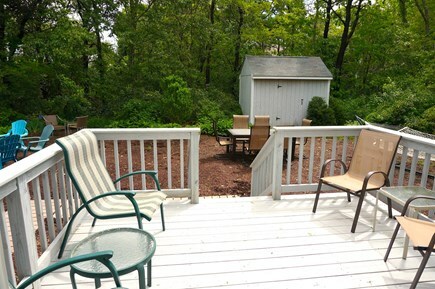 It is spacious, clean, great yard and outdoor shower! Cable and wifi included! 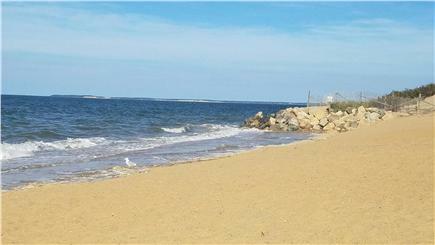 Close to both bay side and ocean beaches in a quiet neighborhood great for kids. Owners are very nice and always available. 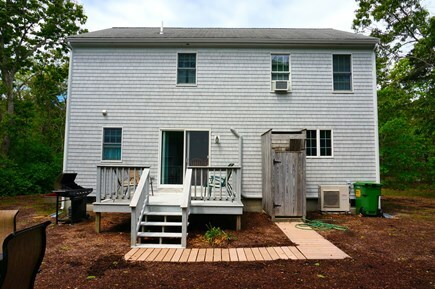 This has become my new " home" on Cape Cod! 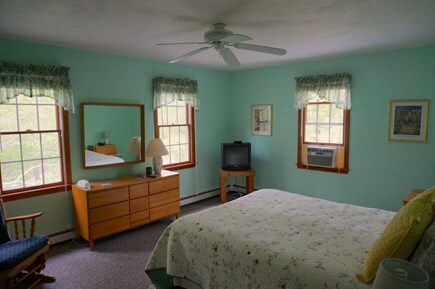 We have been vacationing in Eastham for over 35 years. Our four children grew up with our summer get aways in Eastham. We had our home built in 2000 and have been renting it out since. 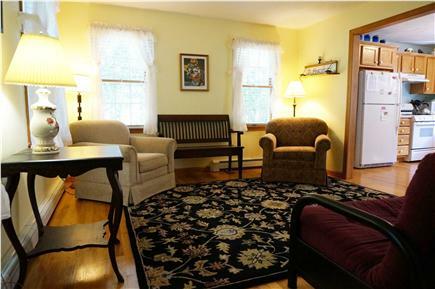 We regularly visit our home throughout the year as anytime in Eastham is most enjoyable. 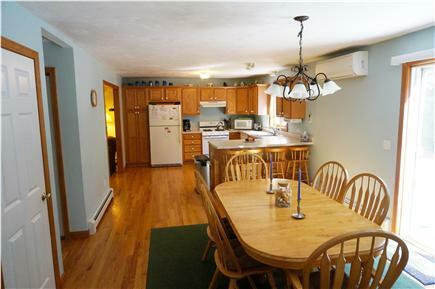 Clean, uncluttered, open first floor space on first floor. 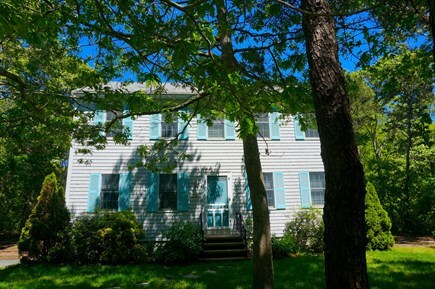 Eastham has accessibility to not only to two ocean beaches but also several bayside beaches.